With a number of new websites coming up every time we surf the web, there is some blocked material as well. Due to some or other reasons, many sites are restricted from public access. These may include country specific sites or some owner restrictions. Nevertheless, of such issues, you can get access to all those content the proxy, VPN or SmartDNS with required level of anonymity. These proxy servers are fast and secure enough to access those sites safely. Not always but you will find most of the banned/blocked contain easily. If you are facing problems visiting some sites due to geo-lock content, trying to watch US Netflix in Mexico or BBC Sport on Roku, these services will solve your purpose. Wayback Machine (Internet Archives) - A nonprofit organization called as Wayback machine, stores data in an archive format. It shows the site the way it looked at the particular time period. This way you can actually access the most recent copy of any blocked website or when they were quite accessible at some period. With this tip, you can drill trough those content. Translation Services - Using translation services such as Google Translate you can actually get access to those restricted sites. Just enter the website address you want to access in the translation field. Select details such as Translation from and Translation to fields and move so that it will display the page in your specified language. This is a very effective way if you are seeing blocks or restrictions on some sites and still need access. Convert IPs into Decimal URL - Some sites have their IP addresses blocked as well. In such cases, you can use the decimal value of that site address and surely try your luck. e.g. http://74.125.236.160 (Google IP) its decimal address will look like HTTP://1249766560. Go to http://www.ipaddressguide.com/ip and convert any site to its decimal value. Using IP address of any website - If you are unable to proceed by typing any website address, try to use its IP address and hit enter. There are high chances that the site will open on some casual restrictions. How to know the IP of any site. e.g. If you want to know the IP of twitter site, Just type ping twitter.com in command prompt and you will get their IP address. Just use this ip address, enter in URL bar of your browser and hit enter. Hope it worked. HTTP into HTTPS - In some casual site restriction, this tip will help as a jam on bread. Some software locked sites can work easily using this prank. Just replace http with https and hit enter. Wola... Site opened! Using Opera Mini Simulator - This browser is designed to work with most of the websites which may likely have restrictions. Only thing is, you may see some poor quality of pages once opened. Using Google Cache - Google keeps a cache for each site. It is similar to using Wayback machine. 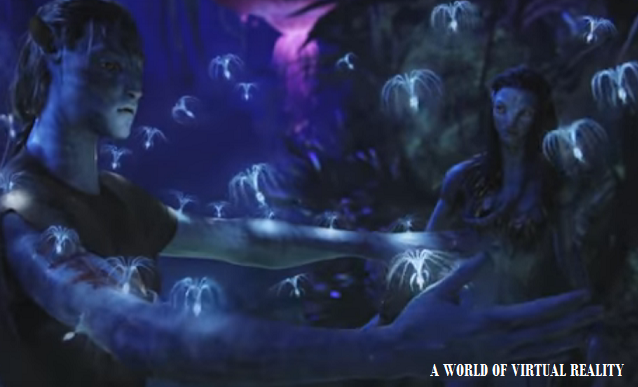 You will get old reference page which might help you solve your immediate purpose. For this, just search the site you want to go through and click on Cache link which appears in the result. Make sure to keep 'browser caching' enabled in your browser. Using TOR - TOR, The Onion Router is best free utility which will unblock your current attempt. It is an internet browser specially made to encrypt the military communications. Created by the US Naval Research lab it is the advanced browser. To use TOR, you will need to download torproject.org and create your identity to use their browser. Make sure not to use their browser in the illegal way as they will find you for sure. Try creating a new identity each time you want to surf through it. Using URL Shorteners - These services shortens the lengthy web addresses to short one. They have the capability to unblock the restrictions on some sites. (Better luck with yours). feed.ly, goo.gl, moourl are the best to try. Proxies are basically the middle person between you and the site you are accessing. The proxy allows you to access banned or blocked content for a whatsoever reason. Your data is passed between you and site without any encryption and so it is very risky at most of the levels. Proxy operator owner can easily trace your passwords exchanged with having no secured SSL connection. On the other hand, VPN allows you to surf completely anonymously and unblock access to sites if any. VPN provides Bank level encryption. None of your data, cookies are exposed to a third party or owner. It removes all the restrictions on sites if any and works on almost any operating. Some best VPN services include HotspotShield VPN, Hola unblocker, TunnelBear VPN, ProXPN VPN. Enter the URL of your website with restricted access and try free. Hope it worked! You can also try HideMyAss or IPVanish subscription. Further to accessing the online content anonymously, remaining safer, faster and secured is another requirement. By hiding real IP and accessing private network which may have banned in certain areas due to some obligations, requires such service installed. inCloak is one of the best proxy and VPN providers with servers around 29 major countries. 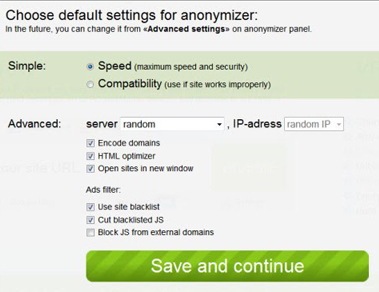 InCloak VPN provides data security and maximum anonymity while online surfing. It also removes the possibility of your geographical location being traced. It has many paid and private proxy lists to choose from. Also, you can choose proxy type among HTTP, HTTPS, SOCK4 etc. to stay assured. With a premium membership, you can use advanced features again with a large number of proxy lists available. Get a free trial of one day through their registration. HideMe.ru VPN is yet another service provided by the same company (inCloak Network Ltd). It installs a software on a computer and it is slowly becoming popular. If you are willing to stop using these services for any reason and need normal windows operating setup, you can use removal software. Using regular uninstall is also advised but using this software is more advanced. These are freely available and removes all the inCloak files which are installed at a background. With all the above options using free proxy servers, there are some well-paid plans available such as Unlocater, again a Smart DNS proxy service is definitely a good option. Not just because it is paid, issues such as slower internet access, a risk of losing personal information, unknown information of DNS provider, internet stability, liable jurisdiction are less likely to occur with them. There are also some other free options available which include CyberGhost, FreeVPN, PacketiX.NET VPN, ItsHidden, HideIP VPN etc. which works pretty well. Just Google them to visit their sites and installation guides. 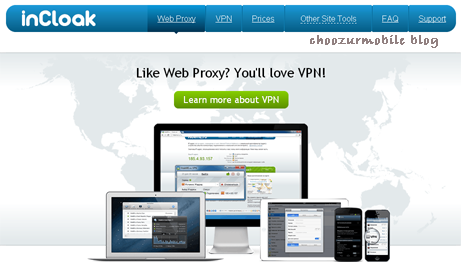 Other risks involved using Proxies and VPN please visit here. It is an alternate DNS server (different than your ISP's default DNS server) unblock most of the restrictions. Looking for a SmartDNS Router? Although SmartDNS does not provide encryption or hide your IP, but they are a wiser solution when even some premium VPN can't open restrictions set particularly against them. Instead of masking IPS, SmartDNS tricks the servers to be considered as an unknown legitimate entry. One of the best selling Router in the market. 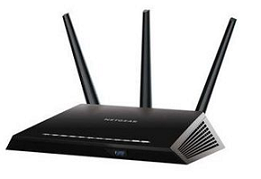 Netgear Nighthawk R7000 Specs - 1GHz Dual Core Processor, AC1900 WiFi—600+1300 Mbps speeds, Prioritized bandwidth, ReadyCLOUD USB Access, Manage home network and provide guest access remotely using NETGEAR Genie, OpenVPN Access on mobile devices and Kwilt integration. At just $50, Linksys E1200 is the affordable Router from Cisco's new E series. It is a single-band Wireless-N router with no bells. E1200 is best for home or small office however if you are looking for strong network E3200 and E1500 are a great choice. 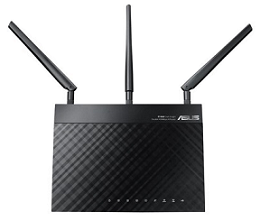 It is one of the fastest routers in the market.